Fearless Sewing! I think not. 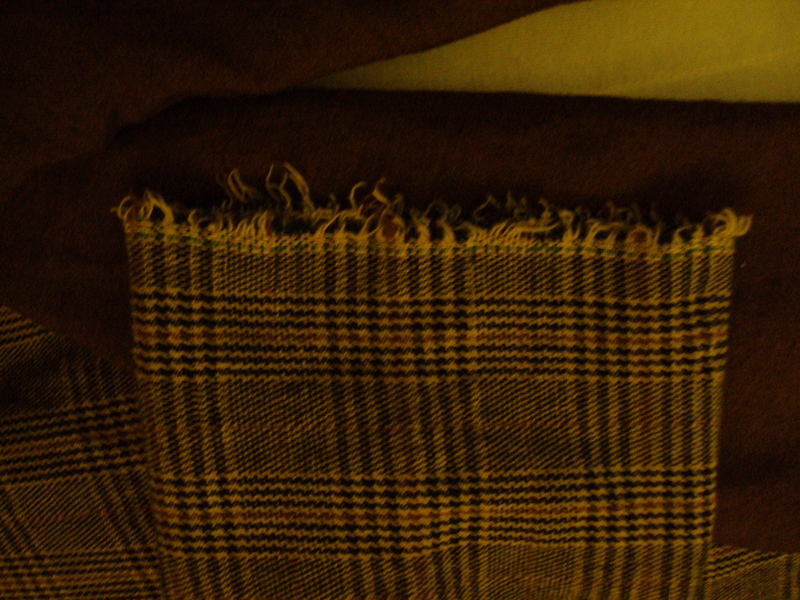 So my first attempt (in a very long time) at fearless sewing a.k.a not sewing up a muslin was somewhat a failure . . . not a totally failure, but not a great success. I sewed For Vogue 8693. I was in a hurry (Never good). I was tired (Even worse!) I wanted instant sewing gratification (Instant sewing – an oxymoron?!) So I decided to wing it and not make a muslin. Instead, I did some quick flat pattern measurements and decided that I needed size 12. I also read through all the reviews on PR (which there are not many and none are very extensive). However, I neglected to measure the width of the sleeve- Argh! The sleeve is VERY narrow, so much so that I can really only wear this with a sleeveless T-shirt, camisole or a short sleeve T-shirt. Hey, I don’t think I have big, robust upper arms (maybe I do?) 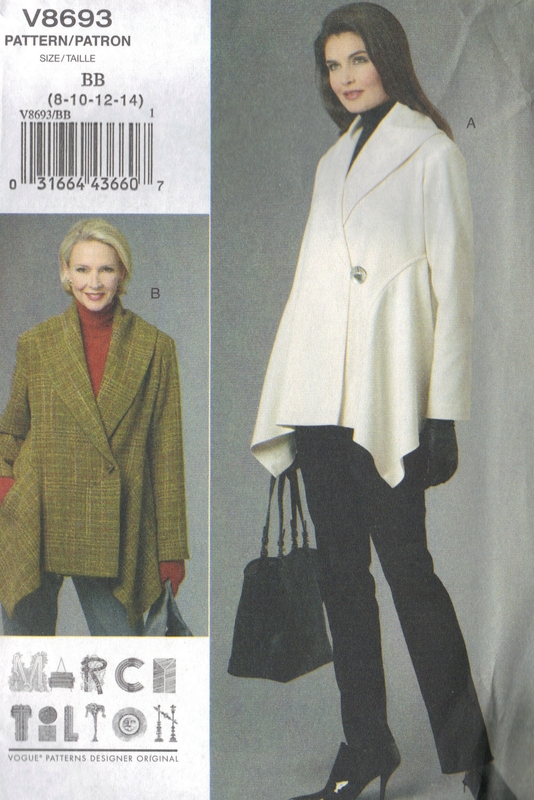 but this pattern definitely has very narrow sleeves. Lesson learned? Make a muslin! The little closure is pretty worthless, too. Yes, it looks great: it is a neat button, but I ended up sewing a snap in the jacket in order to keep it closed and have it hang well on me. 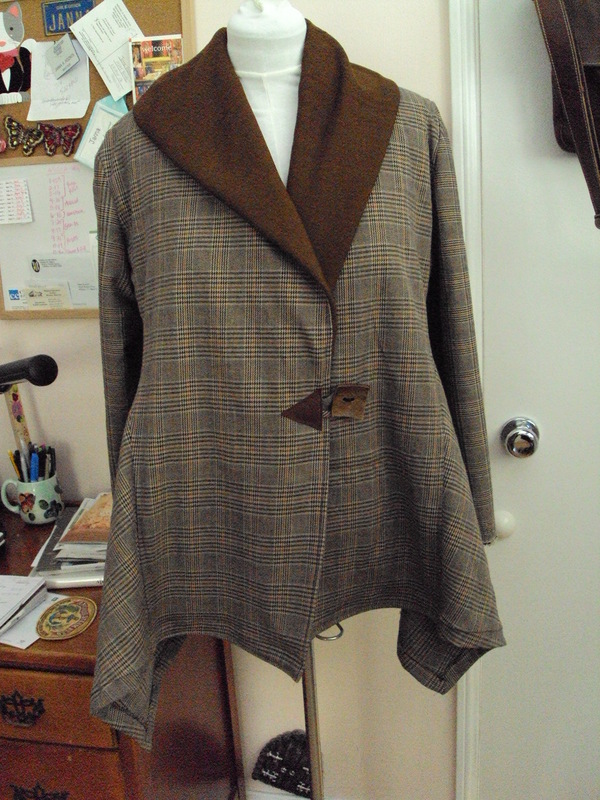 I knew going in that I didn’t enough fabric to match the plaids, so I matched the right and front, but put the sleeves on the crosswise (I think that’s what I did) so the sleeve hem would just be the selvedge. 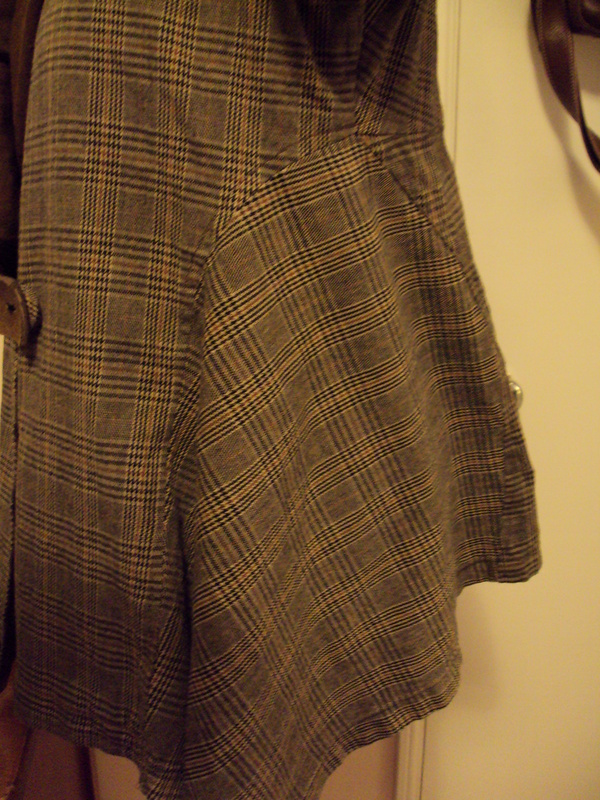 I also, tried to put the back pieces on the bias but it didn’t work, so I ended up sewing this strip up the back. Would I make this again? No. However, it is a nice light weight jacket, which I have worn several times since it hasn’t really gotten too cold here. No fearless sewing for me. Fear the pattern! Make a muslin! 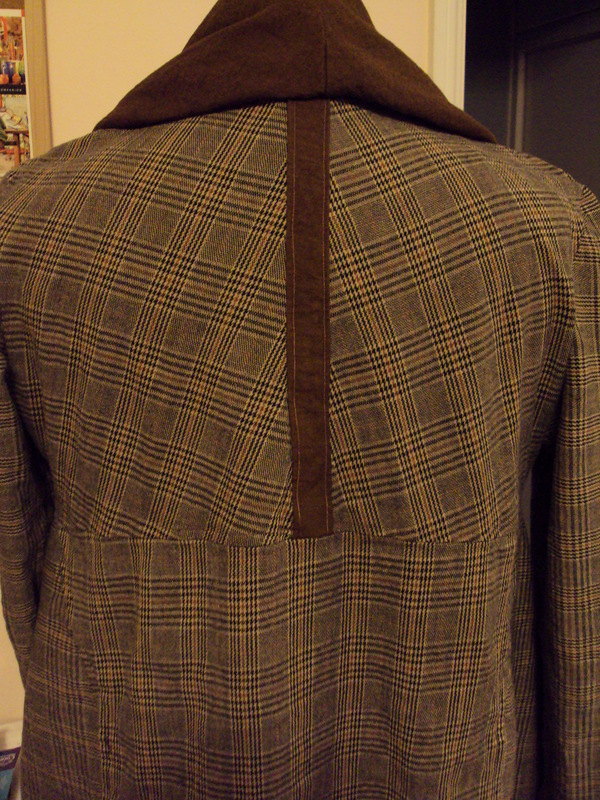 I really like the contrast trim you used on the collar and back of your jacket. The jacket looks so nice that looking at how the plaids match, or don’t, is the last thing I would think about when I saw it.